Working from home is kinda impossible before but as our technologies are getting more advanced, it is now a reality. Home based jobs is a rapidly growing industry in the Philippines today. Are you a corporate employee or a mom who is considering to work home based? Or are you tired of the long hours of commute and traffic on your way to work? Then, you are in the right place. In this article, you will learn the top 6 home based jobs in the Philippines and how you can get started. If you are considering to work from home, then the first thing that you need to do is to have a stable internet connection at home and a laptop or computer. Normally, interviews for both full-time and part-time positions are being done through video calls like Skype or Facebook Messenger. If you have these bare minimum, then you are ready to take this exciting journey. Do you consider yourself as an efficient type of person? Do you love organizing things and assisting others? If you are, becoming a virtual assistant is something that you can consider doing. Step 1: Know exactly where you are good at. Knowing your abilities and what you’re good at can help you get the type of job you want. If you are good at providing content on social media, you can be a social media virtual assistant. For those who have very fast typing skills and is good at details, you can apply as a general admin virtual assistant. Or If you are good at numbers and excel spreadsheets, you can specialize as a bookkeeping virtual assistant. Working from home shouldn’t be stressful for you. Go for the things that you are good at and work will become play. Once you have decided which field to work on, it’s time to look for an employer. Here are some websites you can check. There are a lot of websites hiring virtual assistants. Those enumerated above are the most popular. Just like a typical office job, you have to package yourself as well. Highlight your skills which will make you the most desirable candidate for the employer. I strongly suggest that you create a cover letter together with your resume. In the cover letter you can specify how you’re a good fit for the job. Step 4. Get ready for your online interview. For some employers, they also do screening through video calling to select the best candidate. Make sure you prepare enough and ace that interview! NOTE: If you are interested to learn more on how you can start a home based job as a virtual assistant, you can check out this free course here. If you have the skill to writing articles, ebooks, newsletters and the like, you can venture into being a part-time or full-time content writer. There are individuals and websites who hire writers to help them provide content to their readers or even clients. This is normally a project-based type of job. You’re getting paid depending on the type of output needed. The more projects you have, the higher is the earning potential. Do you know that Philippines is the world’s call center capital? It’s because Filipinos are the most efficient and patient workers in the field of customer service. Though most common call center agent jobs in the Philippines are office-based, some employers also offer home based call center jobs. If you are interested in becoming one, you can check Upwork.com and you can find a lot of job vacancies there. Becoming a home-based call center agent is pretty similar to virtual assistant jobs. You’ll go through the application and interview process and when they hire you, your clients will be asking you to install the application needed for the account that you will be handling. If you have a good understanding of the English language and the passion in teaching others, then you may consider becoming an online English teacher. You will need to fill out necessary forms online and submit it together with your resume. Check the qualifications they are looking for. For some employers, they may require a video call normally through Skype to get to know you more. You will then do a demo teaching session with one of their specialists to see your capability as an online instructor. Also, your client would want to make sure that you have a noise-free location and a stable internet connection. Once you passed the three steps above, your client will also conduct an online training on how you can become an effective online instructor. After the online training, it’s your time to start your career as a home-based English teacher. Do you enjoy typing? If you can type quickly and accurately, this is one of the best home-based jobs that you’re looking for. Though it’s not as lucrative as the other four listed above, you can still make a decent income through data entry whether you’re working part-time or full-time. Fiverr, Elance and Upwork are some of the top sites in the Philippines where you can apply for data entry related jobs. These are international websites where you can find thousands of clients looking for a data entry specialists. Usually, you can earn $5 or P250 for every job done. You just need to sign up as a worker and you can start applying to potential clients. If you have skills on HTML, java script and the like, becoming a web developer is another good option for a home-based job. You may check Toptal.com, an online job portal specifically for programmers and developers. Working from home has a lot of advantages to offer. You can work in flexible hours, spend more time with your family, avoid long traffic hours and still earn a decent income. 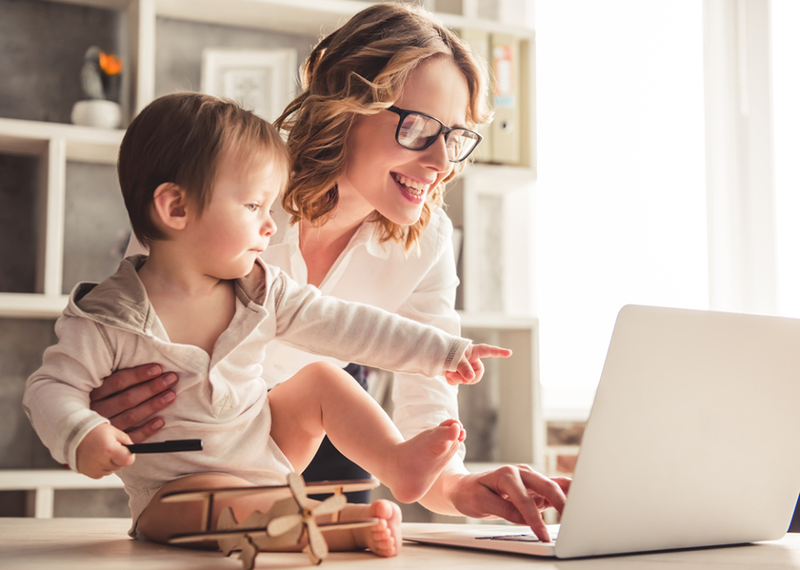 If you want to start a work from home career (may it be part-time or full-time), then I hope this list of top 6 home based jobs has helped you decide which way to go. PS: Do you want to discover how you can freelance from home?